Iran takes a jab at the dollar by opening its own oil bourse. 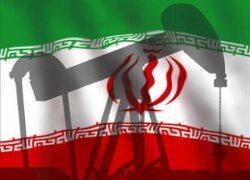 The Iranian Oil Bourse establishing Euro-based pricing of oil is set to open on February 17th 2008 and could have devastating effects on the US dollar. Currently all three major oil markets (WTI, NYMEX, IPE) trade barrels of oil in US dollars. Consequently any country buying oil needs dollars to pay for it. This enables the US Federal Reserve to issue huge volumes of dollars to meet increasing demand for oil. In return oil producing nations invest dollar proceeds in US treasury bills, allowing for the current US budget deficit. But this balance may become unsettled after a fourth major oil market opens this month, trading in Euros: the Iranian Oil Bourse (IOB). Unlike other bourses, the IOB relies on a peer-to-peer trading model, using the Internet. IOB has been in the works for several years and encountered many hurdles on the way, the last of which are severed underwater internet cables creating an Internet outage throughout the Middle East days before the IOB's opening and prompting conspiracy theories. In recent years the US has outfitted some of its submarines with the capability to splice optical fiber underwater so these theories may not be far-fetched. Having the world's second largest oil reserves of 136 gigabarrels, Iran will likely extend its influence on financial markets when the IOB opens. Although under-reported by the media, this historical shift and its consequences should be watched closely.